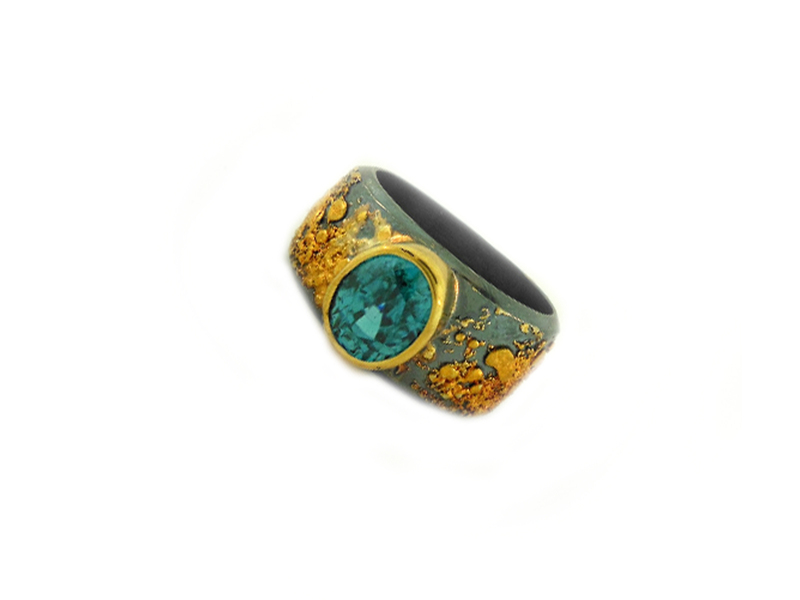 Natural Cerrillos Turquoise Ring handmade by Mario Chavez. 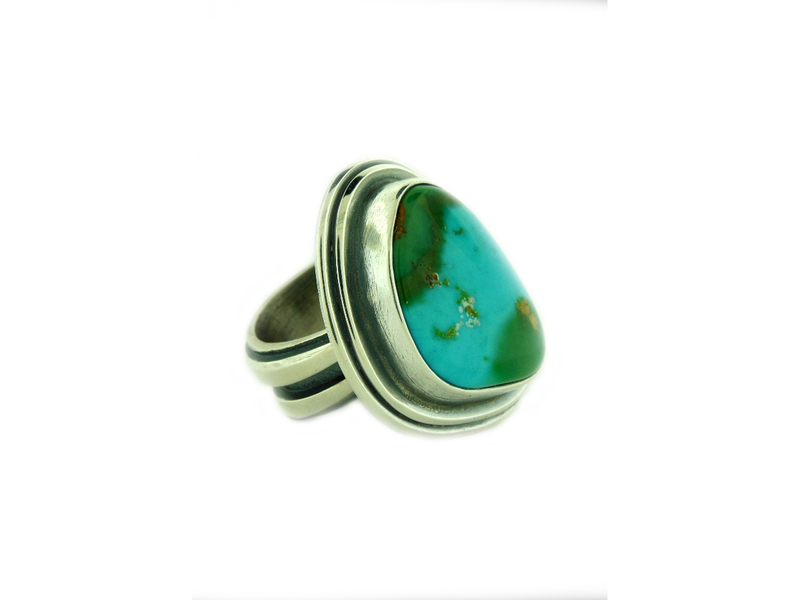 Natural Cerrillos Turquoise Ring handmade by Santa Fe artist Mario Chavez. 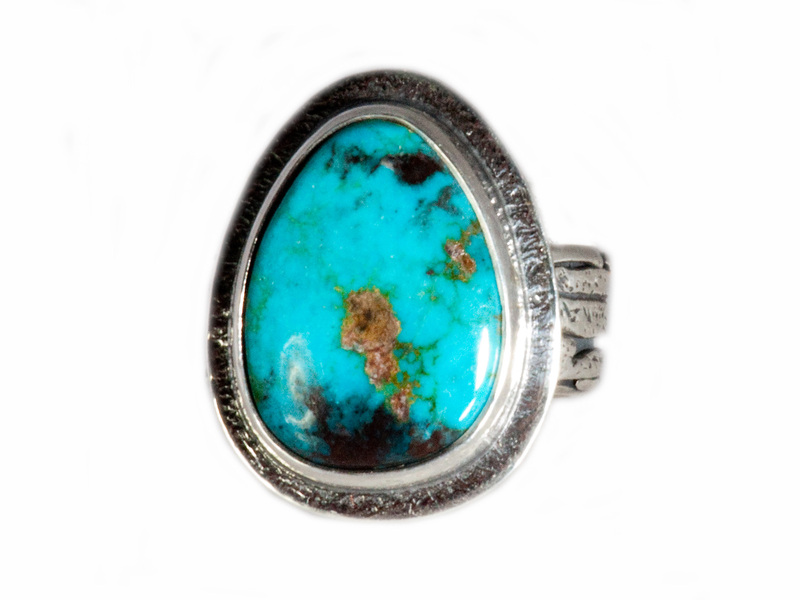 This incredible ring features a natural piece of Cerrillos turquoise set in sterling silver. The ring is size 7 but can be sized on request. Cerrillos Turquoise is not only an uncommon and unique form of native New Mexican turquoise, but also has a long history which is deeply entwined with both the ancient native peoples of the Southwest and the more recent American mining companies. Considered the oldest known source for turquoise in America, the Pueblo peoples continued to extract turquoise from the Cerrillos mine until the 1870’s when a silver mining boom raised interest in the area. The Tiffany Company in New York and its associates bought up the mine area and extracted $2,000,000 worth of turquoise between 1892 and 1899, the per carat value of which has never again been attained. Cerrillos turquoise was created and mined under unusual circumstances, as it is the only turquoise that has been known to form at the base of a volcano. Thus, a variety of colors developed from the minerals in the various volcanic host stones. Cerillos turquoise thus offers a huge range of different colors, from tan and khaki-green to a rich, blue-green to a multitude of blues and even white. Cerrillos is a very hard stone and so takes a brilliant polish. Much of the host rock is riolite. In addition to producing distinctive colored stones, the Cerrillos mines are considered the oldest mines of any kind in North America. Located ten miles south of Santa Fe, it was the site of the largest prehistoric mining activity on the continent because the huge turquoise deposit was partially exposed at the surface. Miners from the San Marcos Pueblo, who later moved to Santo Domingo Pueblo south of Santa Fe, most heavily worked the mine. Using only stone axes, mauls, antler picks, and chisels, Pueblo miners removed 100,000 tons of solid rock to create a pit mine 200 feet deep. They dug other vertical shafts into the ground to reach veins of turquoise. Miners carried tools and leather rock buckets on their backs as they climbed in and out of the shafts using notched logs as ladders. The turquoise obtained from the workings at Cerillos was traded via the old trade route, first to workshops at Chaco Canyon, New Mexico, where artisans polished stones that were coveted by nobles of distant lands. Turquoise from these workshops has been found as far south as Oaxaca, Mexico. The kings and emperors of the Mixtec and Aztecs wore crowns and pendants of turquoise, as amulets of good fortune and long life. The material was also traded east to Pecos and on to the land of the mound builders. Indisputable proof of the movement of this turquoise exists through laboratory analysis of turquoise found in many different geographic locations. Vast numbers of pieces of Cerrillos turquoise for personal and trade use have been unearthed in the prehistoric ruins of Pueblo Bonito in Chaco Canyon, as well as in Aztec ruins after the Spanish conquest. The mine is currently owned by Douglas Magnus, Santa Fe painter and jeweler extraordinaire, who has made a lifelong project of preserving and protecting what little of this material still exists. I have spent many hours digging around in the dumps of the old Castilian claim and remember every piece I was lucky enough to find. In fact I once staked the claim next to the Castilian, the Spanish Gem, where I never found a single piece of turquoise. Rarely does this material come on the market, as it is coveted by those fortunate enough to possess it. Mario Chavez was born and raised in Albuquerque, New Mexico. The youngest of four children, there was much laughter, love, and encouragement to pursue his dreams. At 14 years of age he was introduced to the world of jewelry through a high school art class, a life- changing experience. Immediately he was drawn to metals, stones, and the process of designing and hand fabricating jewelry. In the years following he apprenticed, honed his skills, and went on to open his first studio 27 years ago. 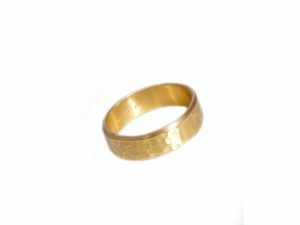 Mario works with a variety of metals including high karat gold, platinum, and silver. He uses precious and semi-precious gems as well as rare minerals. 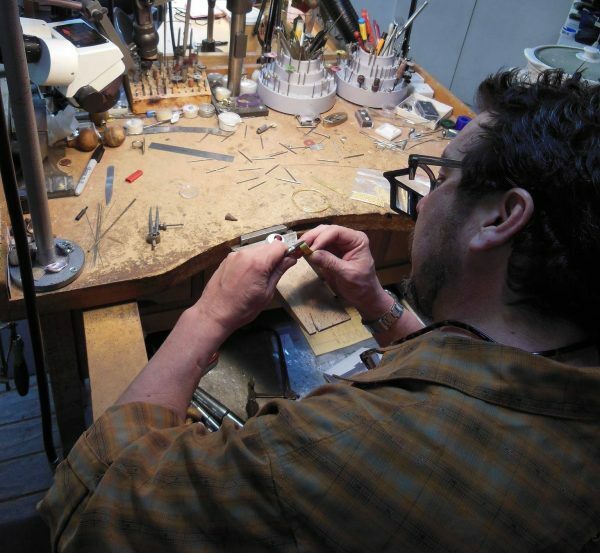 While he excels at “old school” techniques of hand fabrication using a welding torch his studio also offers the latest in high tech equipment including a laser welder and casting capabilities. Custom design is Mario’s specialty and Santa Fe, New Mexico is the city he’s called home for 23 years with his wife and children.